HIGH-VOLTAGE direct current (HVDC) systems have become a viable option for accommodating bulk power transmission over long distance. They can serve as technically feasible solutions for connecting large offshore wind firms located farther than 70 km away from the coast. Furthermore, due to their innate ability to connect asynchronous systems, HVDC technology can also be suitable means for interconnection between different AC systems to improve the security of power supply. A large number of point-to-point HVDC link projects have been launched and already started their commercial operation. HVDC allows power transmission between unsynchronized AC transmission systems. Since the power flow through an HVDC link can be controlled independently of the phase angle between source and load, it can stabilize a network against disturbances due to rapid changes in power. HVDC also allows transfer of power between grid systems running at different frequencies, such as 50 Hz and 60 Hz. 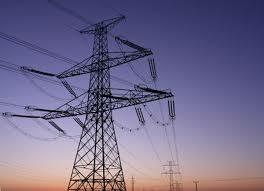 This improves the stability and economy of each grid, by allowing exchange of power between incompatible networks. This entry was posted in Blog and tagged BTech HVDC projects, High Voltage DC (HVDC) system, High Voltage DC projects, High Voltage Direct Current, High Voltage Direct Current Projects, HVDC projects, HVDC projects for BTech and MTech, IEEE HVDC projects, MTech HVDC projects. Bookmark the permalink.